Chard, Ilminster and District U3A groups (see list at bottom of this page) offer subjects ranging from practical activities, such as gardening and needlecraft, to study opportunities such as languages, history, etymology, religion, and philosophy. Also available are numerous social and practical activities including table tennis, play reading, lunch club and rambling. The Resource Centre at National Office has a collection of material in many subjects for U3A groups to borrow. These are available for group leaders or individuals. For further information, e-mail: resource.centre@u3a.org.uk or phone 020 8315 0199 or log into the U3A national website, https://www.u3a.org.uk and follow the Resource Centre link. Please Note that the information about groups listed on this page is correct at the time of entry. It is the responsibility of individual Group Leaders to contact the web site manager if the times of meetings and locations are changed. If you would like online help to update your group details on the Beacon System click Group Leader. If you would like practical help do not hesitate to call me on 01460 61615 or email me at cidbeacon@gmail.com. Mo Chilvers, Beacon Co-ordinator. This page contains news on Groups that are either up and running or where a member is keen to start a group. We do have requests for new groups to be formed but without Group Leaders this is not always possible. If you feel you would like to run a Group then please look at our REQUESTS page. Maybe one of the topics listed there is something you are really keen to share with others. A link to REQUESTS may be found in the header at the top of this page. Note: Click here to view Public Groups and Public Calendars on our Beacon Site. This is a new group which met for the first time in February, 2019. The purpose of this group is to bring together members who are crucial to our U3A communications. The objective would be to support each other and draw on skills and ideas to promote U3A activities. Thursday 30th May at 2pm in Eleos Cafe in Chard. This is very popular so we now have three weekly groups which meet on a Tuesday, Thursday and Friday, all at Tatworth Memorial Hall. The Tuesday group is from 10-12. On Thursdays and Fridays the time is also 10-12 but there is an hour on both days from 9-10 for more advanced players who play to a higher standard. There are vacancies in the Friday group. 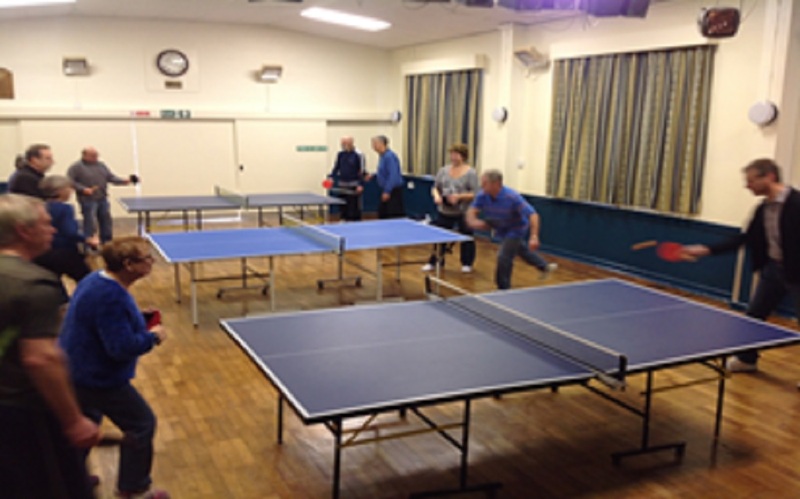 The hall is not available on the 2nd Thursday of each month but otherwise we play every week. Please note that the venue and time for this group has changed. The group now meet at Holyrood School Sports Hall in Chard at the new time of 5pm. The sessions are still on a Wednesday and last for one hour. There are still a few places left, so if you want to join in contact Jim Lobley at jim.lobley1950@gmail.com. Jim is a Chard & Ilminster member. Please see the Cricket Indoors Page for further information. After a six month hiatus last year we are back again with a few new members and some new ideas. At our last meeting which was concerned with cover versions of famous songs, The Wurzels playing 'Ruby Ruby Ruby' (originally by The Kaiser Chiefs) took the prize for novelty. December was a month off but we will be meeting again on 22nd January to play tracks with the theme of 'Robert'. As suggested by Maureen Edwards, who is hosting the meeting, we are looking for tracks played by someone connected with Robert or any derivatives (eg Rob, Robbie, Bob, Bobbie, Roberta etc), or with something similar in its title or lyrics. It will be interesting to see what people come up with. We meet on the 4th Tuesday each month at 9.30am until 11.30am. Our aim is to enjoy music which is not defined by the term 'classical'. The music played is hugely varied and reflects the tastes of all our members. We enjoy a touch of nostalgia but also learn to appreciate more modern new music. At the moment there is a short waiting list since we have a full complement but if you are interested in coming along at some time in the future please give me a ring on 62085. 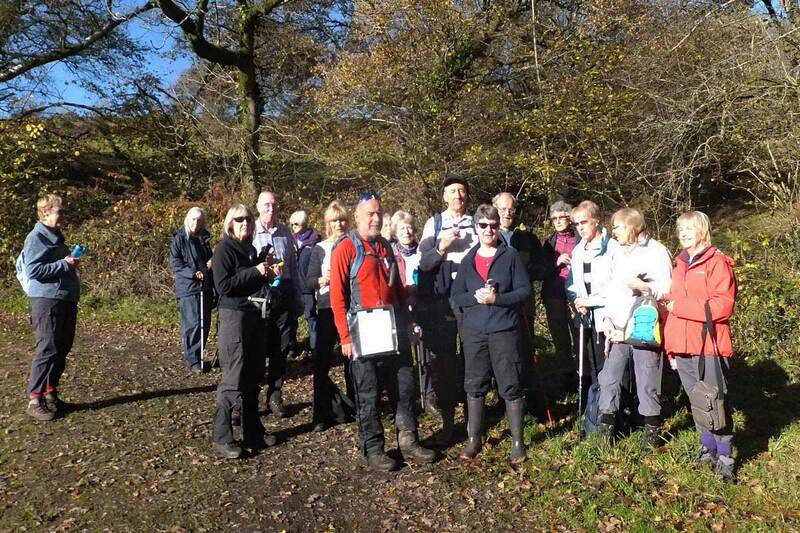 In November members were enjoying the late autumn sunshine in the Hemyock area. Do you enjoy reading the news and airing your views? Our group does just that, with members bringing along any item of news, serious or trivial, that they have found interesting and would like to be the subject of a brief discussion. To sample a meeting please contact Clive Robinson on 01460 234719 or email clive@robinson171.plus.com. The group meets on the second Wednesday of each month at 10.00am. Do you enjoy reading poetry? Would you like to know more about poets and their work? If so, why not come and meet a friendly and welcoming group who read their own choice of poetry on a theme selected in advance. Please contact Gillian Macdonald on 01460 64687 if you are interested. A new Needlecraft Group has been formed to replace the Patchwork Quilting Group. This new group is for anyone who likes making things using a needle including knitting, crochet, embroidery, cross stitch and tapestry. The group also visits exhibitions and needle craft shows. The following table lists the days on which group meetings normally take place, and whether they are a morning or afternoon affair. It should be noted that the majority of meetings are monthly rather than weekly.